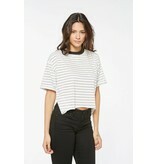 Unofficially-officially the 'Cool Girl' tee of the season. 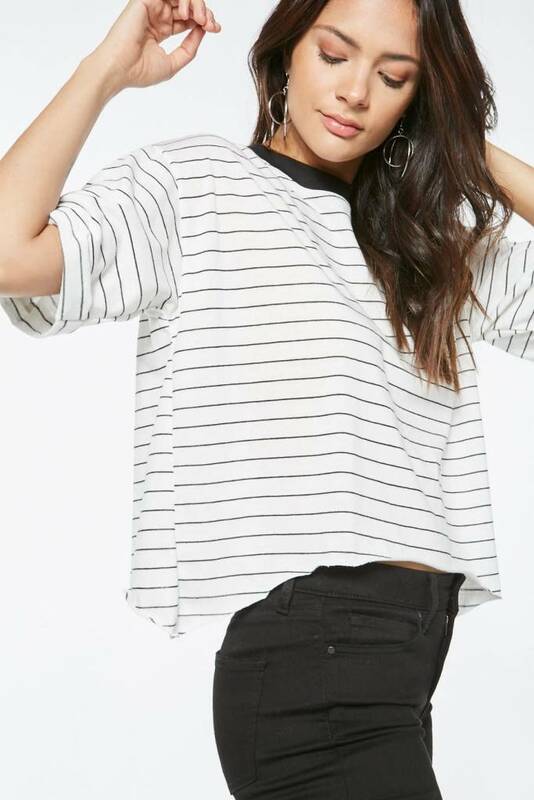 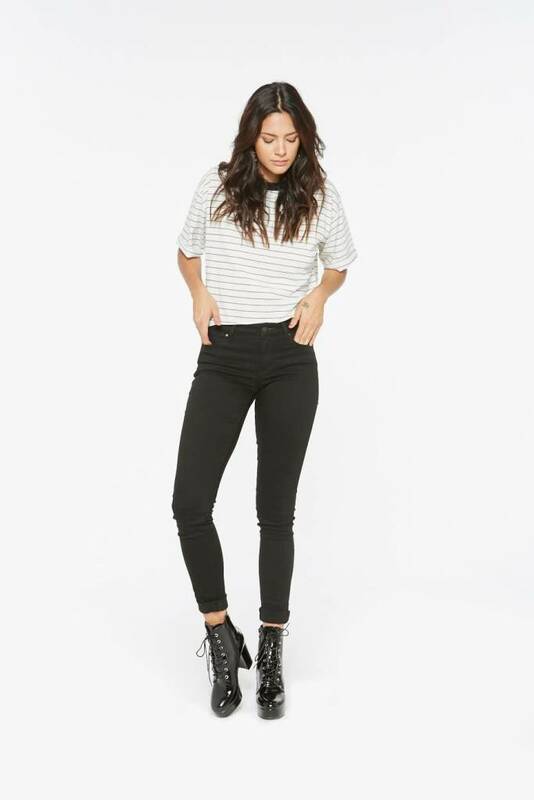 This striped crewneck tee has an oversized fit and a cropped raw-edge hem. 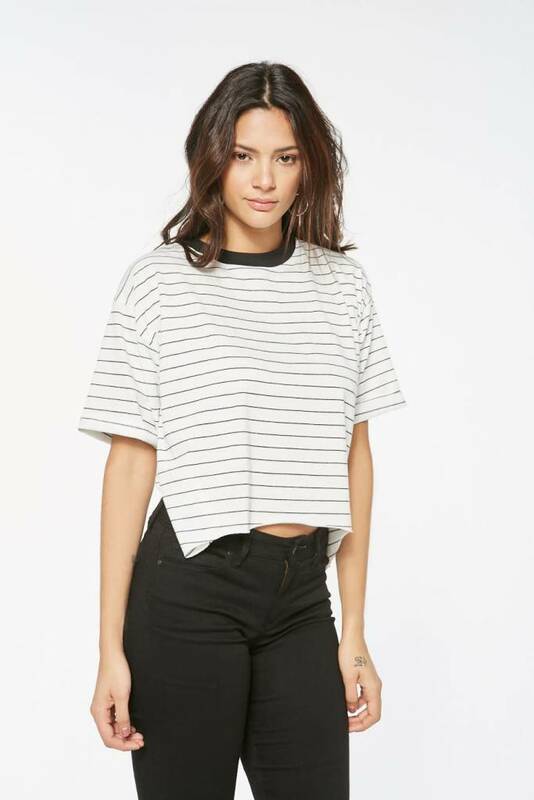 This is going to be your new effortlessly chic tee and you know it. 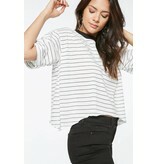 Sophia is wearing a size small.